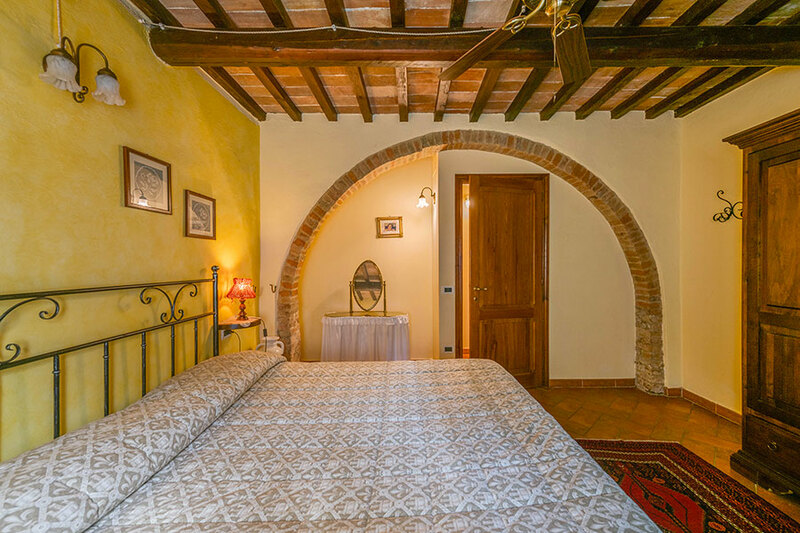 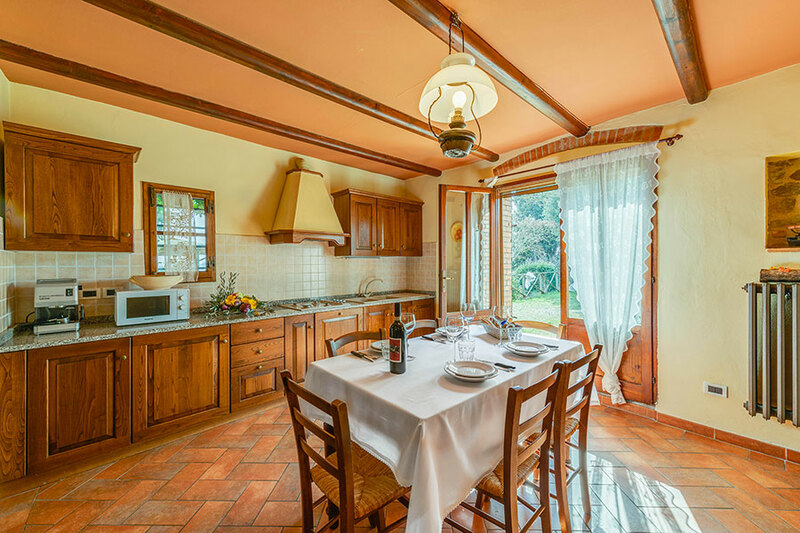 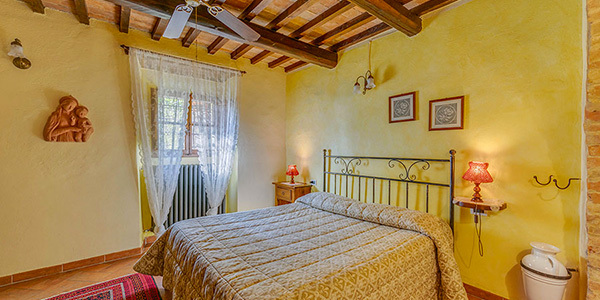 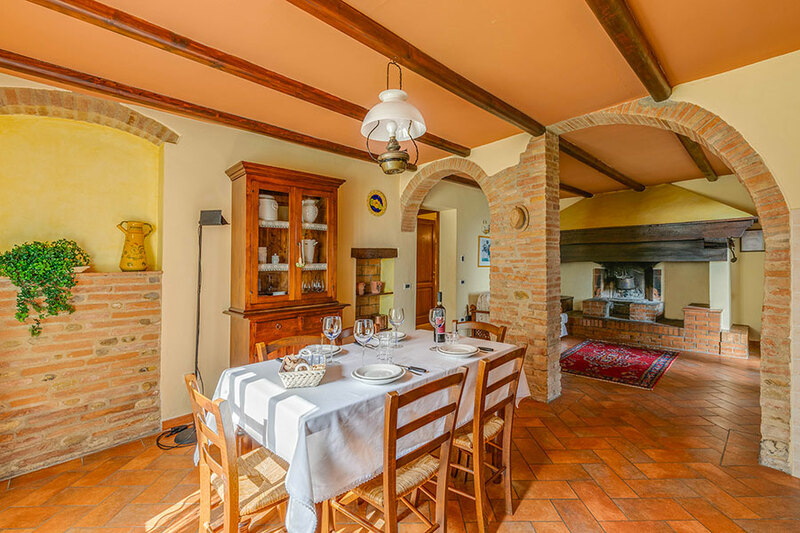 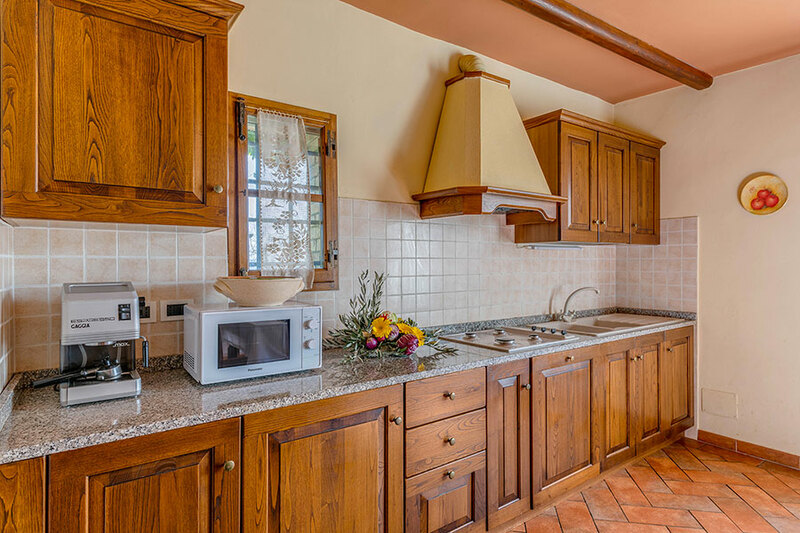 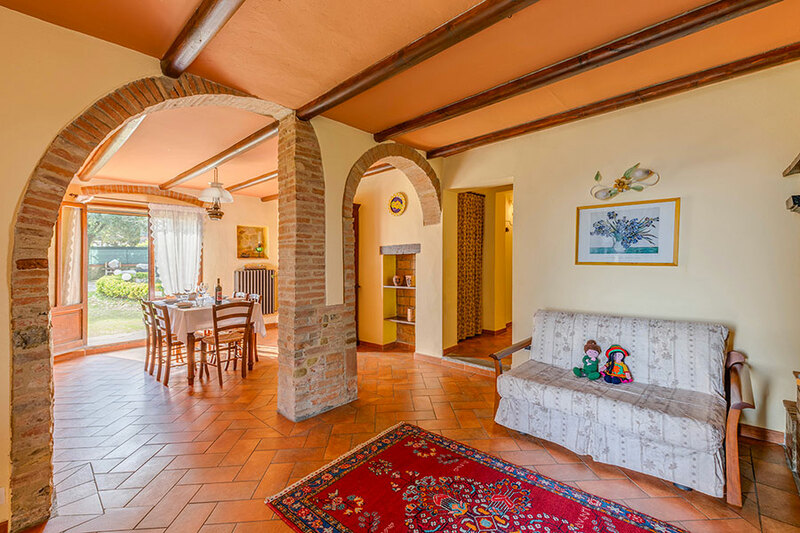 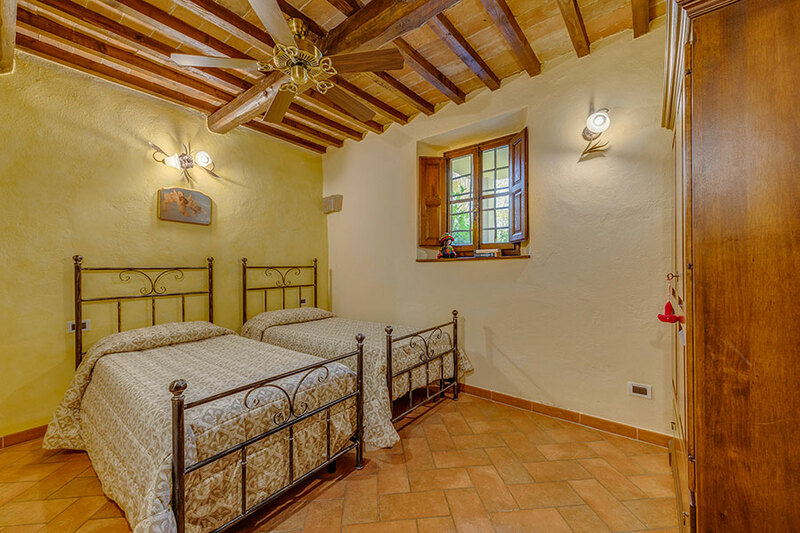 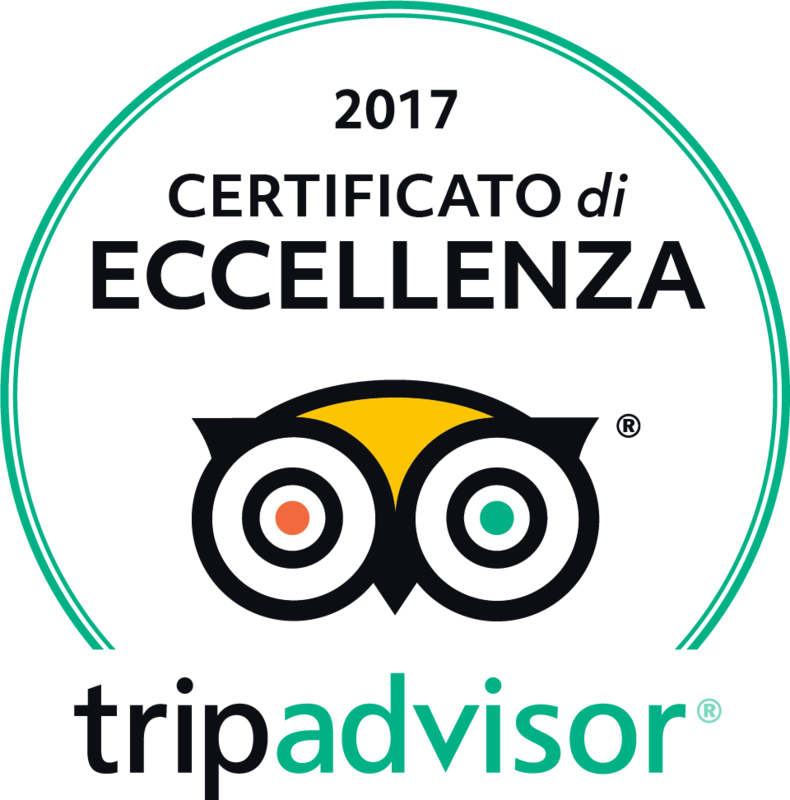 The apartment is also on the ground floor, with view over the Tuscan countryside and its own private garden with gazebo, table, chairs in wrought iron and barbecue grill. 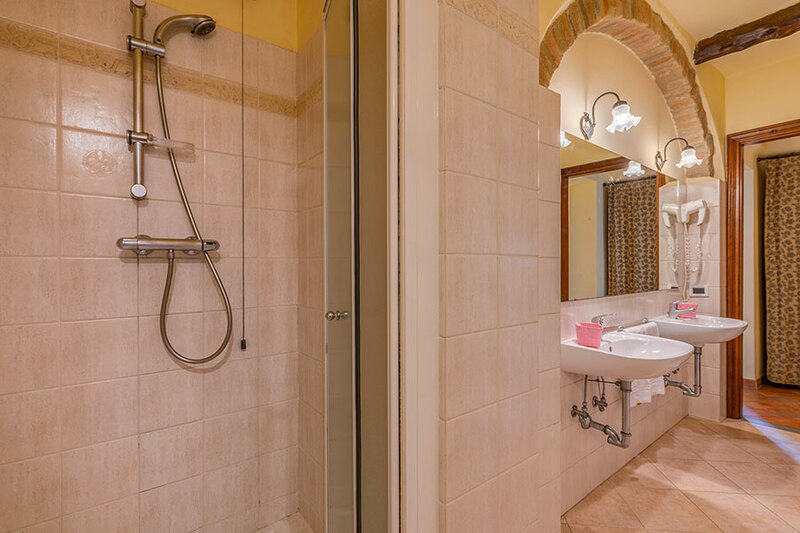 The apartment has a bathroom, two bedrooms – one with a queen size bed and another with two single beds (on request can be made into one large bed) - as well as a kitchen area and a living room with a large sofa bed that can sleep 2. 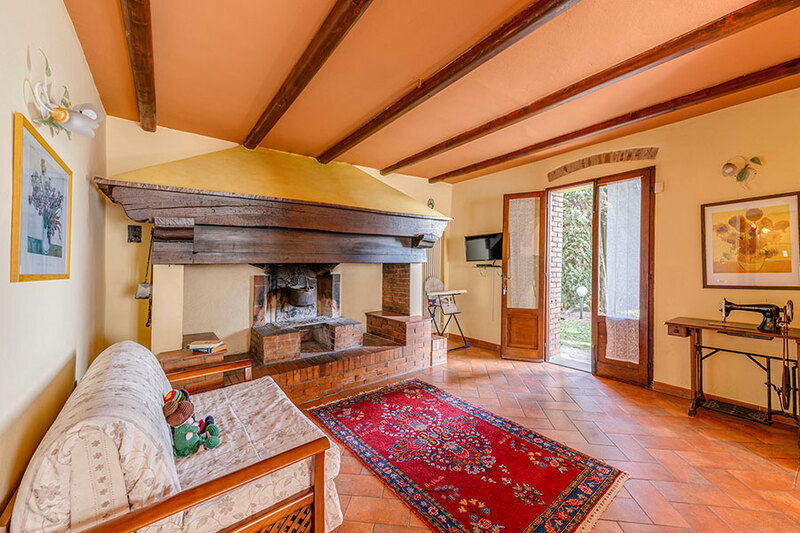 The living room has a large fireplace.